Ben McAteer’s strongly sung Jesus is robust, sincere and touchingly human, Natalya Romaniw an ardent Mary, Eleanor Dennis luminous as Mary Magdalene and Martha. 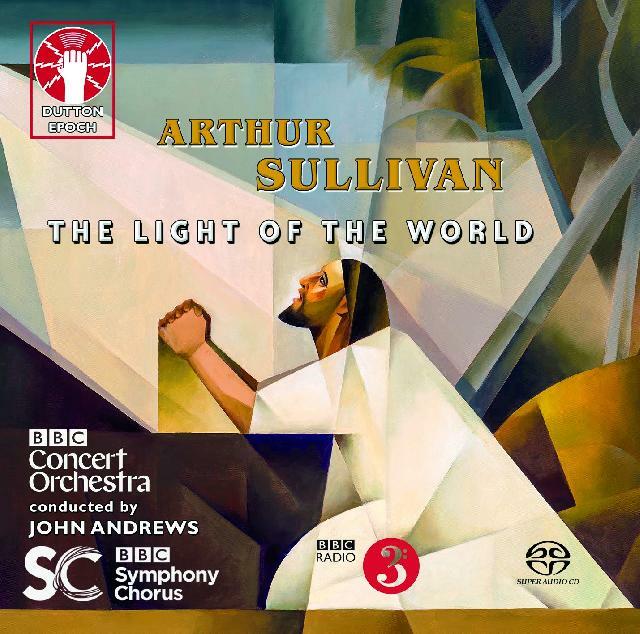 While there is no disguising the Victorian archness of Sullivan’s imposing oratorio The Light of the World, this first account on disc of Robin Gordon-Powell’s new performing edition reveals it to be a work of many and considerable attractions. Those familiar with the uneven live 2000 recording on the WRW label will be reassured to know that the fresh, forceful, often beautiful choral singing here eloquently rights the wrongs of that release. Indeed, it’s one of the highlights of this vivid SACD recording. Grounding proceedings when Sullivan errs on the side of the operatic, Ben McAteer’s strongly sung Jesus is robust, sincere and touchingly human, Natalya Romaniw an ardent Mary, Eleanor Dennis luminous as Mary Magdalene and Martha. Telling contributions, too, from Neal Davies and Robert Murray, while John Andrews draws fervent playing from the BBC Concert Orchestra even where Sullivan is at his most contrived. Sullivan aficionados can purchase with absolute confidence.